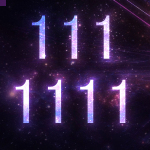 111 and 1111 meanings go beyond synchronicity and Doreen Virtue’s Angel Numbers. The numbers 111 and 1111 are designated by the Lightbringers as channels where The Divine communicates with the physical realm. The numbers arrive with synchronicity and serendipity. When you see these numbers, they will usually arrive digitally. (Such as seeing them as the time on a clock.) They will also arrive on purchase receipts, or addresses and phone numbers. When you happen upon 111 or 1111, it means that a spiritual presence is with you. The Divine is crossing your path and has a message to share. Often it is a nudge to become aware of the present moment. It beckons that you take into account what is truly perfect in that instant. When the numbers show up, the message from the Universe is likely an assurance or acknowledgment of the present state of Perfection. Lightworkers sharing about the meaning of the numbers is an intentional implant into human consciousness to promote a global shift towards a higher consciousness. For some, seeing this number series is as if Angels are bringing forth a message. Or, it is the equivalent of having a Guardian Angel present. There is a good chance you will see the numbers often if you are aware of how to interpret the significance of their appearance. The number series will always appear to you at just the right time. When the numbers present to you, it is a clear reminder that you coexist with a supernatural Force. And, that Force has entered the realm of your awareness. This Divine energy is looking to create a reciprocating relationship with you. Going forward, your awareness will become more open to the experience of receiving messages. Take note of your thoughts. / What just crossed your mind is affirmed. Take note of your actions. / You are on the right path. The Universe is sending you affection / admiration / comfort. A new process is beginning or one is coming to completion. Something on your mind you see as a gift to yourself is making its way to become manifested. Sometimes when people see the number, they feel compelled to make a wish or say an affirmation or give gratitude. Do You See 111 or 1111 Frequently? To see the numbers frequently means you are being guided toward a gift. What is bound to come to you does not have to be profound. It can be something very simple. If your consciousness is drawn to this series, the messages will arrive more and more frequently. Many people will go through cycles of seeing both the 111 and 1111. When these seem to come up often, it is as if the Universe is leaving breadcrumbs for you to follow. The numbers can even appear so frequently, you might think the Universe is on speed-dial! Eventually, the reason or purpose for the communications you receive will be realized in a grand manifestation. That is to say, the 1-series you see over the course of months or even years will eventually culminate into something monumental. In the most sacred sense, seeing the series of 1’s very often is a constant ‘dialogue’. It means having a connection with a sacred energy and experiencing life in communion with the Source of All Creation. When seen often, the timing of the numbers arriving is glaringly more synchronous than it already was before. In communion, you are of one mind with a Universal Intelligence. You embark on an absolute path to create something significant. It brings life purpose into profound clarity. The 111 holds the magick of manifestation with its power of 3. It is “top-heavy” with elemental energies of Earth and Fire. The third element is a “wild card” between Air and Water. Messages that come from seeing this number are supportive. 111 sends a blessing of approval for what you are creating, giving and putting forth. The number 111 is often most relevant to what is going on in the spiritual realm, or with any works-in-progress. The messages also relate to creativity, conception, intention, wants, needs and desires. 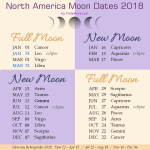 Manifestations from this number’s magick are commonly linked with matters or goals that are relatively short term or more immediate on a timeline. The 1111 messages are related to unification/marriage, wholeness, and integrity. Its appearance will often acknowledge a matter or purpose that is more substantial and long term.